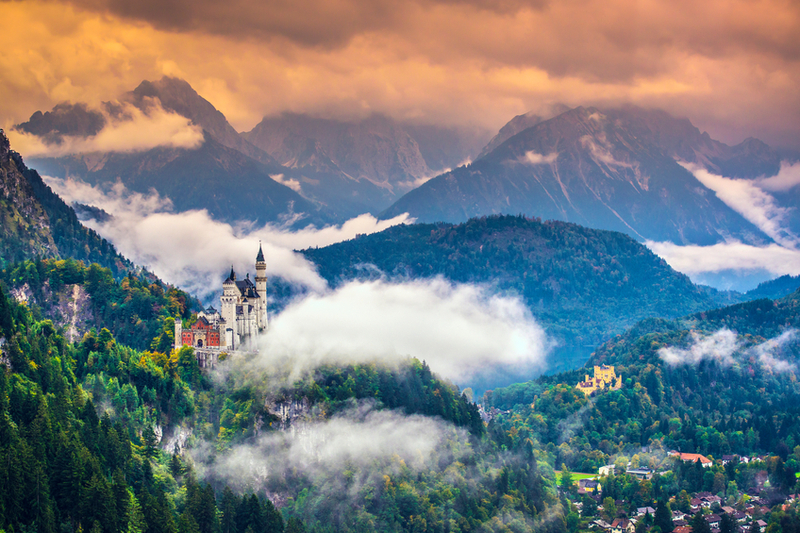 Bavaria positively brims with magical, story-book castles and it’s not hard to find them either as they loom over the clearings in dark forests or stand majestically upon craggy outcrops, punctuating the landscape as you pass. 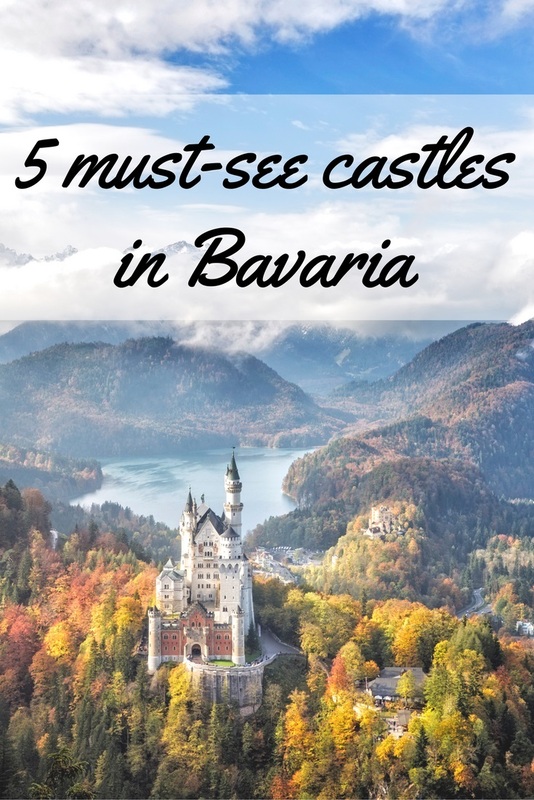 There are literally hundreds of historic castles in Bavaria, each with their own intriguing stories, gardens and antique collections to discover. As there are far too many to point out here, we’ve narrowed them down to just a few must-sees you might like to stop at on your German travels. Stop off here and you’ll soon see why this castle is the most visited castle in the world. The romantic, medieval Neuschwanstein Castle was used as the model for Walt Disney’s Sleeping Beauty castle. 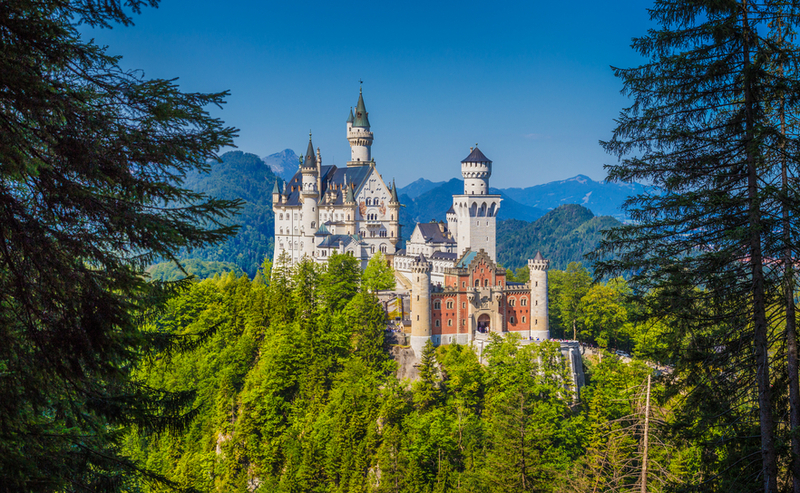 Perched upon a rugged hill in southwest Bavaria, it was the dream of King Ludwig II, who almost bankrupted the entire country trying to build this castle, plus two other extraordinary projects. Work began in 1869 but, like many of Ludwig’s grandiose schemes, it was never finished; in fact, the king ultimately only ever spent about 170 days in residence. Inspired by the operatic works of his friend, Richard Wagner, one of the most impressive rooms is the Sängersaal (Minstrels’ Hall) with its frescos depicting scenes from the opera Tannhäuser. You can wander through this and other completed sections – don’t forget to gaze out of the windows for awesome views across the plains stretched out below. 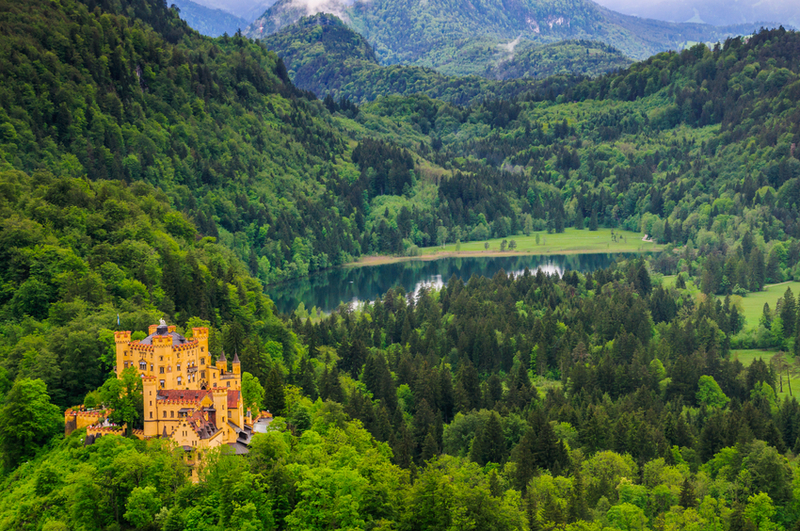 Standing on a hilltop beneath Neuschwanstein Castle in the village of Hohenschwangau, this castle was built by King Ludwig II’s father, King Maximilian II of Bavaria. Unlike Neuschwanstein, this castle was actually used – as the childhood home of Ludwig II. More than 300,000 visitors from all over the world visit the palace each year, many of whom combine it with a tour of Ludwig’s rather grander Neuschwanstein Castle on the same day. To complement the castle, the grounds are equally impressive with beautiful views of the town below. To visit in regal style, take the horse-drawn carriage up to the castle, then walk back down the hill, stopping off along the way to admire the lake and relax in stunning surroundings. Veste Coburg is regarded as one of the largest and best preserved fortresses in Germany. It was highly influential in European history during the reign of Francis, Duke of Saxe-Coburg-Saalfeld. Even if you don’t go inside, just roaming around the battlements is very impressive. Today the complex also houses an impressive art museum holding some of the most important art and cultural history collections in all of Germany. The museum is packed with interesting collections including copper engraving, military and hunting weapons as well as carriages and sleighs. You will also find paintings by Lucas Cranach and other old German masters like Dürer, Holbein and Grünewald, in addition to several sculptures by Tilman Riemenschneider. It’s a lovely walk to get there, up a hill through the castle’s beautiful gardens. But if you’d prefer to save your legs, let the little train take the strain. Trips up and down the hill leave every half hour. It’s well worth the steep walk up to this ancient castle. 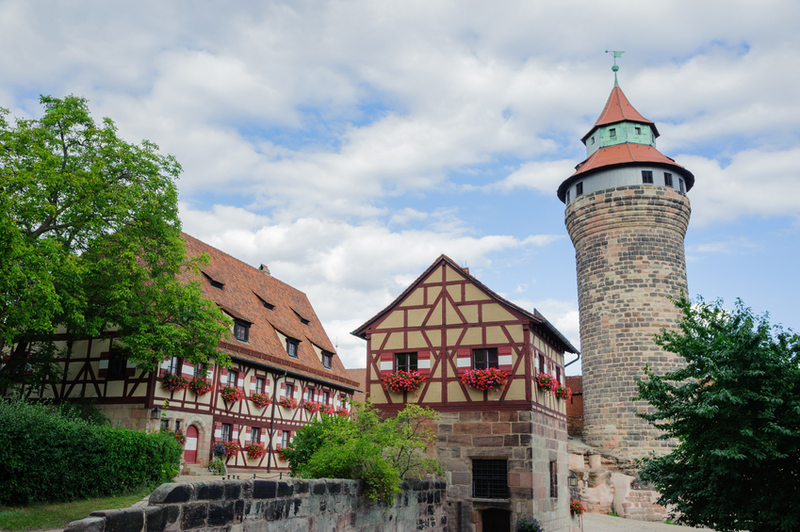 Once you get there, the views down to the city of Nuremberg are just as spectacular as the castle itself. The castle is estimated to date back to 1105 AD. It was a prestigious residence for the emperors of the Holy Roman Empire, earning it the title of the Imperial Castle. The castle has long been the symbol of Nuremberg as well as representing Germany’s importance as part of the Holy Roman Empire. Take the hour-long guided tour to visit the main parts of the castle and the chapel. There’s also a museum to browse through, filled with armour and weapons. 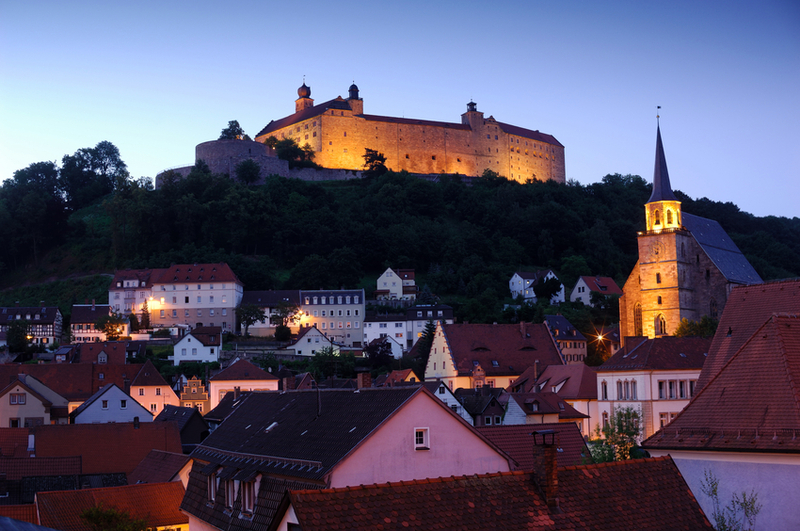 Perched high above the city of Kulmbach, the rather foreboding Plassenburg is widely acclaimed to be one of the most impressive castles in Bavaria. And, as with most of Bavaria’s castles, you can enjoy tremendous views from its walls. This castle is particularly popular for its extensive collection of over 300,000 tin soldiers and figurines, set up in historic battle scenes dating from pre-history, right up to the 20th century. The Schöne Hof is an elaborate, arcaded courtyard, one of the finest examples of Germany’s Renaissance art. Other highlights are the three museums: The Hohenzollerns in Franconia; the Frederick the Great Army Museum; and the Margravial Rooms hosting historic portraits of margraves and the gilt canopied bed of Margravine Maria dating back to around 1630.